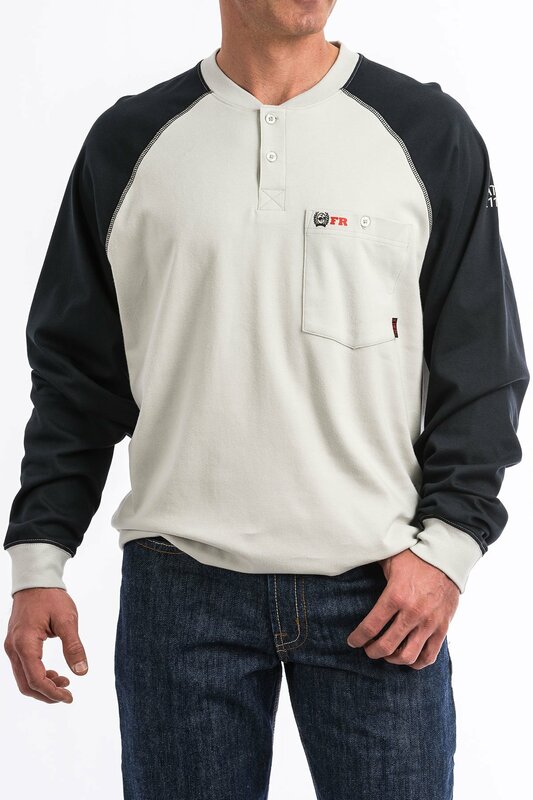 Flame resistant long sleeve cotton raglan henley. 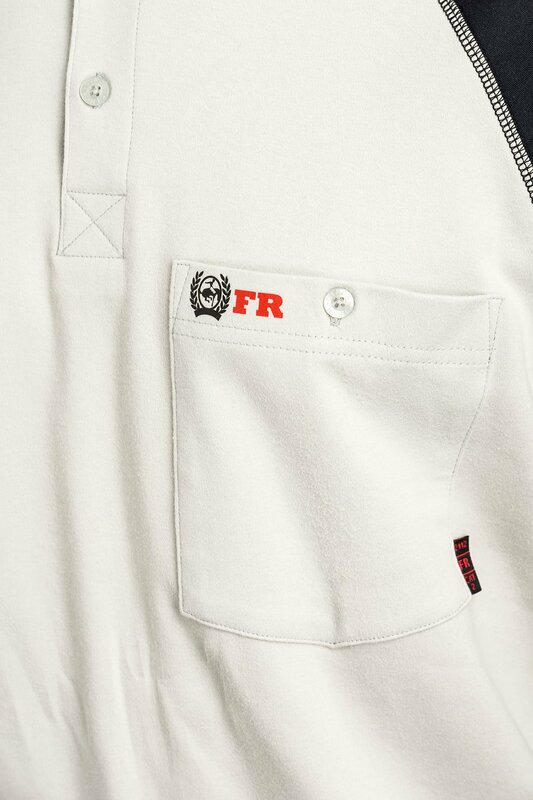 Contrast topstitching, front pocket and logo heat transfers. 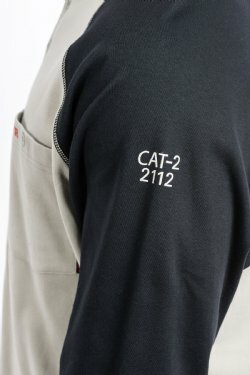 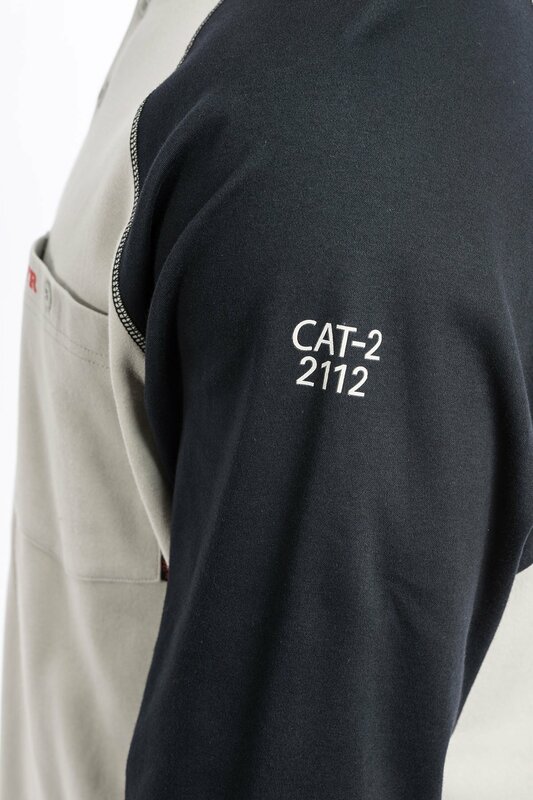 CAT/HRC-2, ATPV 9.6, 2112.